Wally deserves a last chance. Wally is a gorgeous rising 7 yo ex racing TB. Unfortunately he sustained a nasty injury to his leg back in December of 2017. 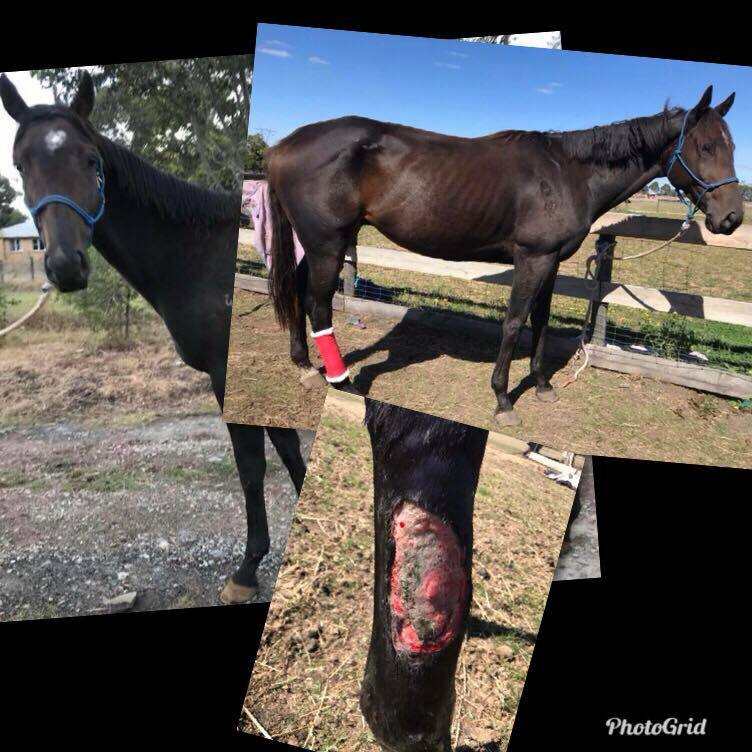 Wally was heading towards euthanasia as the owners were unable to treat effectively but they ended up giving him away to someone who has tried her very best the last couple of months to heal this wound. Despite a vet visit, antibiotics and bandaging - the wound is still not healing. The least I could do. Good luck Wally. Good luck with Wally. Keep up the great work Cin.